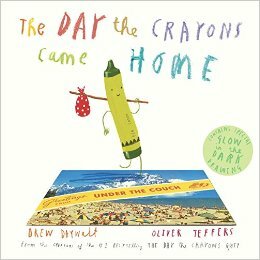 The other day, we shared a review of the fantastic book, The Day the Crayons Quit by Drew Daywalt. 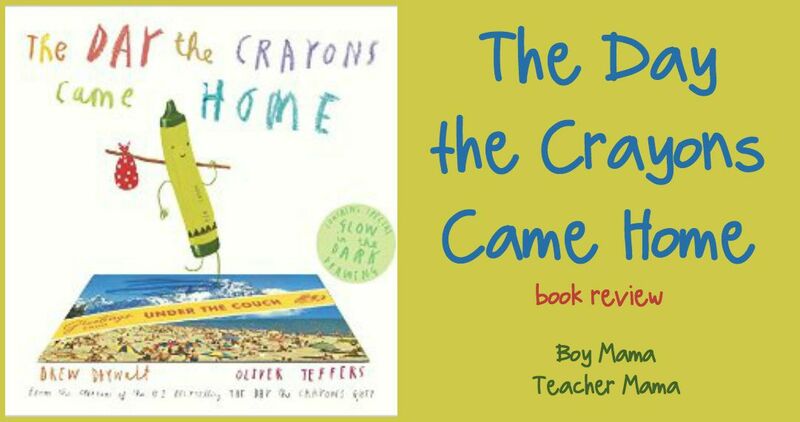 Today, we are excited to share a sneak peak at the sequel, The Day the Crayons Came Home. If you haven’t read, The Day the Crayons Quit yet- get a copy! Read it! You will not be disappointed and your kids/class won’t be either. Then get set for the sequel which will be released August 18, 2015. One day Duncan was happily coloring with his crayons when a stack of postcards arrived in the mail. These postcards are from a whole other group of crayons that belong to Duncan. These are the crayons that got lost, left behind or neglected and are begging to return to the crayon box. Maroon was only used once- to draw a scab and was lost over 2 years ago, tan cannot even tell what color he is anymore and is devastated because he was eaten and thrown up by the family dog and is now covered in carpet fuzz and brown is upset because he is always used to color poop. Be sure to stop by and check out the official website for The Day the Crayons Quit and The Day the Crayons Came Home! Would you like a chance to win a copy of this book? If so, check out this Rafflecopter and enter to win! Oooooh! Looks great! Can’t wait to read it!!!! I am so excited to read this book! We love the first one! I am SO EXCITED!! I seriously cannot wait to read it! I can’t wait to read this book! The first one was great. I cannot wait to hear what you think!! I’m so excited for this book to come out. The first one was so fun! You are in for a real treat Jodie!!! I didn’t know there was a sequel!!!! SO excited. This is one of the best books ever. It is just as wonderful as the first one!